Not ready to be a member? Make a small donation to keep us going. Get an email alert when we publish a new story. Stay informed about how the powerful affect you. The drug industry worked with the Obama administration to sow safety fears about cheaper medications from foreign sources. Millions of Americans pinched by high drug prices turn to overseas Internet pharmacies each year. An array of groups funded by the pharmaceutical industry seeks to steer people away from the money-saving option, citing safety concerns that advocates say are largely unfounded. For years, drug companies have opposed efforts to make it easier for Americans to import cheaper prescription drugs for personal use. Doing so is, in fact, illegal, though the U.S. government does not prosecute individual buyers using the medicines for personal use. The Food and Drug Administration maintains that drugs obtained from foreign sources can be dangerous. What is striking is the extent to which the industry is winning the battle to limit the online marketplace, including legitimate international pharmacies, under the guise of promoting safety—and, as Tarbell has found, with government help. According to documents obtained through the Freedom of Information Act and provided to Tarbell, much of the current constellation of online pharmacy watchdogs was created in 2009 and 2010 by the pharmaceutical industry and advanced, in part, through the White House. The umbrella organization is called the Alliance for Safe Online Pharmacies, or ASOP. When the Obama administration launched a push to protect U.S. intellectual property in 2010, the group saw a chance to use the battle against counterfeit and copycat products not just to discourage fakes and patent-infringers, but to curtail all importation of drugs, including properly manufactured medicine coming from regulated pharmacies outside the U.S. 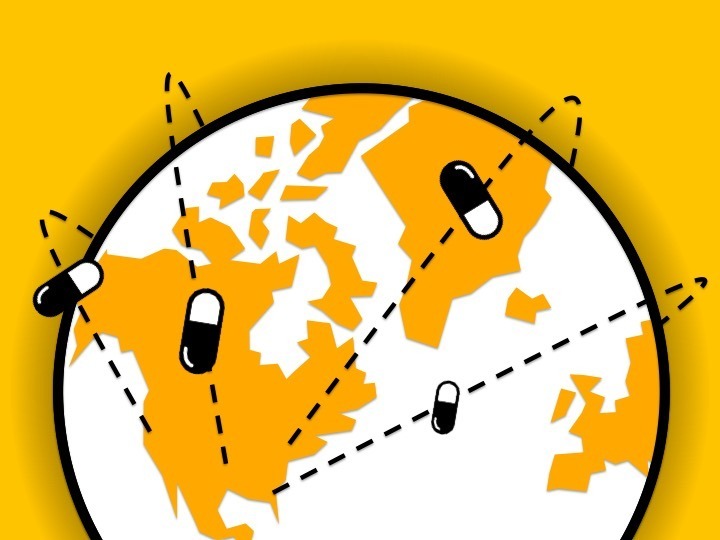 Though the organization only appears to have been semi-formally organized at that point, it was able to offer a detailed plan for how to curtail all foreign online drug sales. And it was an official at drug giant Eli Lilly who won the group an audience with officials with the White House Office of the U.S. Intellectual Property Enforcement Coordinator, which helps defend patent rights. In a May 3, 2010, email seeking an introductory meeting with the office, a member of Lilly’s government affairs office named Jeannie Salo explained the role of the group clearly—to go after online pharmacies on behalf of pharmaceutical firms and their lobbying organization, the Pharmaceutical Research and Manufacturers of America. “As a reminder, ASOP is the manner in which Lilly (and PhRMA as an observer) is working with other key stakeholders to compile data and collaborate to address the problem of online drug sellers/counterfeits, as we cannot do this as one company, or as PhRMA alone,” wrote Salo, who is now the company’s senior director of international corporate affairs. Lilly’s press office did not respond to email and phone requests from Tarbell asking about its role. PhRMA also did not respond to requests for comment for this story. Other backers of the effort included self-appointed online pharmacy watchdog LegitScript, the National Association of Boards of Pharmacy, and the National Association of Chain Drug Stores, among others. Dues-paying members of ASOP now include the world’s largest drug manufacturers, such as Johnson & Johnson, Gilead Sciences, and Merck & Co.
ASOP is run by Libby Baney, an attorney with Faegre Baker Daniels in Washington, D.C., where she is also a principal in its consulting branch. ASOP’s address is the same as Faegre’s, on K St. ASOP has paid the consulting firm $675,000 since 2011, according to lobbying disclosures, most of which went to oppose Sen. Bernie Sanders’ (I-Vt.) most recent bill to legalize personal prescription imports. Emails show that after Lilly’s Salo introduced ASOP to the White House and IPEC’s senior adviser, Andrew Kline, Baney proceeded to set up a meeting in late June 2010. She and Salo were soon regularly corresponding with Kline, primarily to discuss ways to limit online pharmacies. Kline, who now teaches at American University, did not respond to emails asking about his interactions with industry groups to formulate the policy. After another meeting in September in which ASOP pitched its agenda, the White House office made the industry representatives part of an effort to get Internet companies such as Google, domain name registrars, and credit card companies to do exactly what Big Pharma detailed in its March Blueprint—to implement a voluntary crackdown on online pharmacies that do not have licenses in the United States. The companies were sometimes dubbed “chokepoint” stakeholders in the email traffic since they could cut off electronic payments and shut down websites. “Each of these gate-keepers is potentially in a position to help deter the illegal activity, and we are supportive of a multi-pronged approach involving all of them,” says the document. At the November meeting itself—for which Salo, Baney, and Kline did extensive preparation—ASOP’s positions were translated into a PowerPoint presentation for an opening segment designed to convince the Internet and payment companies not so much that intellectual property was at stake, but that online pharmacies are dangerous. Baney sent along the PowerPoint presentation and said she would bring 60 paper copies to hand out. The document also called for federal legislation to address the problem. The administration and the industry allies, it seems, were smitten with the idea of cajoling Internet firms and payment processors to get on board with Big Pharma’s push against online pharmacies, even if the participants thought they were still just in the talking stage. According to a story in Politico Magazine, those same companies were surprised to learn from a Dec. 14, 2010, news conference with Attorney General Eric Holder, the intellectual property coordinator Victoria Espinel, and Homeland Security Secretary Janet Napolitano that they had agreed to create something called the Center for Safe Internet Pharmacies. It took more than a year and a half for the new CSIP to get off the drawing board, but in the end, it was what the drug industry wanted, closely matching the blueprint ASOP had offered earlier in the year. Domain registrars would help shutdown rogue pharmacy sites. Credit card companies would deny payments to online pharmacies that were not verified by LegitScript or were flagged by manufacturers. Search engines would no longer run online pharmacy ads, including from legitimate overseas pharmacies. Google—which had already backed away from pharmacy ads while facing prosecution for running ads from rogue pharmacy sites—was a key part of the deal. This all would likely have been impossible, as Salo argued early on, had ASOP and drug companies not leveraged the White House’s intellectual property push. The CSIP agreement has had a real impact, making it harder for overseas pharmacists to get paid, said Gabriel Levitt, a vice president and co-founder of PharmacyChecker.com, a New York-based business that verifies the credentials and practices of Internet-based pharmacies. The Canadian International Pharmacy Association, which credentials more than 60 international pharmacies, has seen a similar impact. “We see ourselves as being collateral damage to a policy that they’ve created that is overall designed to stop the sale of narcotics, and controlled substances and prescription drugs without a prescription, none of which we are involved with,” said CIPA’s general manager, Tim Smith. To economist Roger Bate, who is affiliated with the conservative American Enterprise Institute, pharmaceutical manufacturers raise legitimate concerns about counterfeit drugs; he has written a book about it. But Bate says their insistence on lumping regulated overseas pharmacies in with rogue websites is primarily a smokescreen to protect profits. “The prime reason is economic,” said Bate, who has also authored a number of peer-reviewed studies evaluating the quality and safety of prescription drugs bought online. He and his colleagues have purchased more than 450 drug samples from 75 different Internet sites, including rogue ones. What he found repeatedly is that sites verified by PharmacyChecker and CIPA provide medicine that is essentially the same as what they purchased from verified sites in the United States. Unverified rogue sites were less reliable. In all, Bate came up with nine bogus batches—all Viagra, all from non-credentialed operations. The idea that regulated drugs from regulated pharmacies in other countries are just as safe as the same drugs in the United States seemed so obvious to Sen. Rand Paul (R-Ky.) last year at Alex Azar’s confirmation hearing to head the Department of Health and Human Services that he tore into the former Lilly executive when Azar refused to say whether those medicines were safe or not. “What I want you to tell me is why the drugs are not safe in the European Union, and how you’d make it safe,” Paul said, picking Europe as one example and arguing that it would not be hard to create rules to ensure safe imports of those same drugs. There are proponents like PharmacyChecker and CIPA that think they have an answer to the problem. Their model is to work only through international pharmacies that are strictly regulated in the countries where they do business, have actual brick-and-mortar locations, employ licensed pharmacists, and require a doctor’s prescription. They say they are connecting Americans to suppliers who get the same regulated drugs from the same manufacturers that U.S. pharmacies do, but for a much lower cost. “Our business is clearly a private-sector solution to the dearth of information available to patients who are buying medication online from Canada and other countries,” said PharmacyChecker’s Levitt. There have been legal cases involving pharmacies monitored by such groups, although the most prominent prosecution—focused on a site called CanadaDrugs.com—involves a wholesale operation catering to cancer doctors, not retail sales to individuals. A judge accepted a plea deal in the case in April, fining the company $34 million. Both of the private watchdog sites say that the FDA has never found a dangerous drug that was provided to patients by any of their verified pharmacies. “We’re very careful about what gets dispensed, and I’m not familiar with there ever being an error or an instance of a patient not getting exactly what they had ordered,” said CIPA’s Smith. Creating and backing safety advocates like ASOP is a familiar route for the drug industry, which also gives lavishly to hundreds of patient advocacy groups. For instance, the independent National Association of Boards of Pharmacy—which works extensively with the drug industry—runs an online effort similar to LegitScript that validates safe Internet pharmacies called the Verified Internet Pharmacy Practice Sites (VIPPS) program. It will only verify sites based in the United States, and it has recently required any business getting the verification to use a new “.pharmacy” domain name. According to archived records of NABP’s website, the effort to create that domain was heavily funded by pharmaceutical companies. Lilly, Merck and Pfizer all contributed a minimum of $100,000. ASOP backed the campaign as well. Carmen Catizone, the executive director of the NABP, acknowledged that the industry committed seed money needed to create the domain, but insisted his group is independent of the industry, which he said contributes “less than 0.1 percent” of his group’s daily operating budget. His association’s alignment with the pharmaceutical manufacturers’ position on importation stems from the need to strictly follow federal law. “Our interpretation, from the FDA directly and from some states, is it’s illegal to import drugs from outside of the US into the US,” Catizone said, adding that his organization takes a similar approach in shunning any sort of cannabis business, including in states that have legalized marijuana, because it’s still illegal at the federal level. If federal law changed, NAPB might not oppose import proponents such as PharmacyChecker and the Canadian International Pharmacy Association, he said. Another industry-backed safety group, the Partnership for Safe Medicines, was run for years by PhRMA executive Scott LaGanga, who is a senior vice president for the trade group. The association launched a major advertising campaign in 2017 aimed at derailing Bernie Sanders’ proposed legislation to legalize personal importation of prescription drugs and the Partnership continues to run web ads against foreign-sourced medicines. LaGanga did not return a telephone call from Tarbell requesting comment. The group lists a former high-ranking FBI agent named Tom Kubic, who runs another non-profit called the Pharmaceutical Security Institute, or Psi-inc, as treasurer on its most recent IRS forms. The two groups shared a suite at an address in Vienna, Va. for years. Psi-inc is funded by its membership, which its website says is made up of 33 pharmaceutical companies. Last summer, the Partnership for Safe Medicines retained retired FBI Director Louis Freeh, Kubic’s former boss, to investigate and write a report on the dangers of importing drugs. Freeh’s work is now regularly cited by the industry and in op-eds opposing importation, but its connection to pharmaceutical firms is not noted. Kubic downplayed the interconnectedness of the groups and Big Pharma, saying he primarily viewed his relationship with the Partnership as a way to get important safety information out to various patient groups that are members. He recently left his position there, and the Partnership has moved out of Psi-inc.’s offices. He doesn’t see much room to work with private groups whose intent is to evade U.S. law. The Partnership for Safe Medicines did not respond to Tarbell’s request for interview by our deadline. International drug importation advocates say there has been no attempt by drug-industry backed organization to look for safer methods of importing drugs, and perhaps ensure certification methods are sound. They feel the groups’ only safety play is making it harder for people to step outside the pricing structure currently permitted in the United States. Baney was queried whether, if the prime objective is “patient safety online,” would ASOP be interested in working with groups like PharmacyChecker, or even Bernie Sanders or Rand Paul, to create a more formal version of what proponents of importation want to do? “No, because no one—including FDA and HHS—has ever found a way to ensure that the foreign unapproved medicines shipped into the U.S. would consistently be safe and effective,” Baney said. 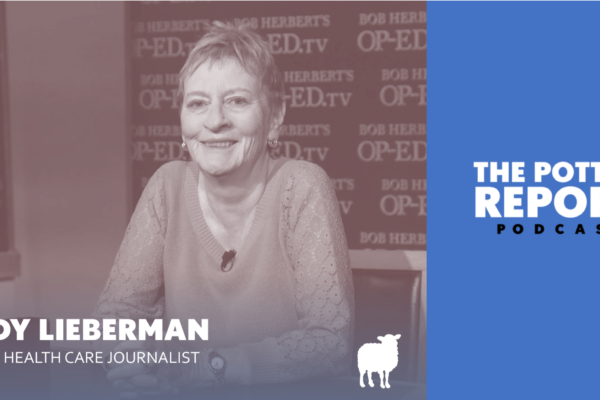 On this episode, Wendell and Joey discuss health care reform, Rural America and the state of health care journalism with past president of the Association of Health Care Journalists and Tarbell.org contributor, Trudy Lieberman. 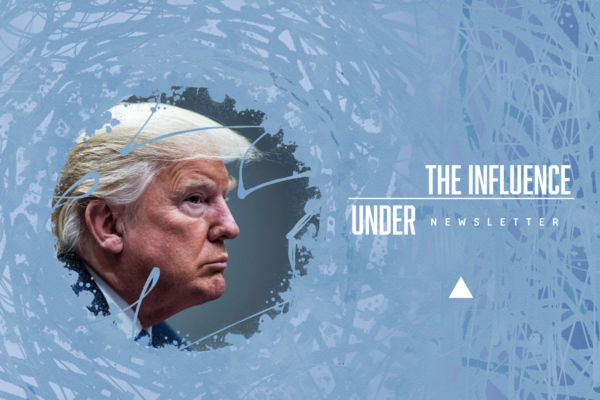 Under the influence is Tarbell’s weekly roundup of stories and ideas related to how special interests operate in America. 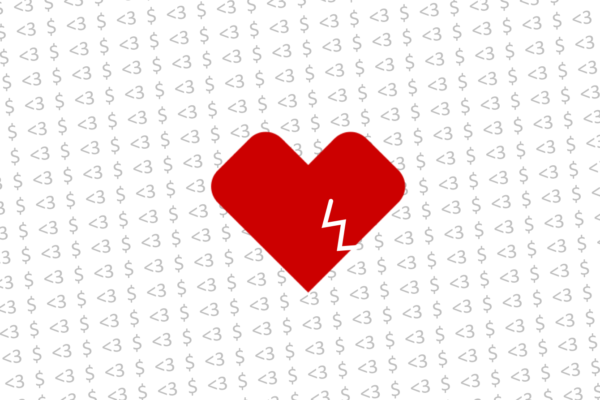 Fighting a pharmacy benefit manager: A woman’s doctor wanted her to take one medication. CVS Caremark wanted her to take the one that would threaten her life.